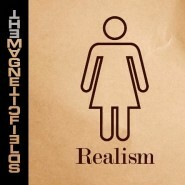 NYC band The Mag­net­ic Fields, found­ed by front­man Stephin Mer­rit in 1989, released its newest album, Real­ism, last month. Real­ism is a bit of a depar­ture from form for the Fields, who, while their last few albums have moved away from the syn­thy exper­i­men­ta­tion of their first five or six albums, have with Real­ism inject­ed a folk-like aes­thet­ic into their pecu­liar blend of indie-pop. While Real­ism suf­fers from a sub­stan­tial num­ber of flaws and seem­ing­ly mis­guid­ed deci­sions, the Fields’ cre­ativ­i­ty shines through at the best moments, leav­ing the album at least occa­sion­al­ly inter­est­ing. As with the major­i­ty of Mag­net­ic Fields albums, Mer­rit pro­vides the major­i­ty of the vocals for Real­ism, occa­sion­al­ly with sub­stan­tial effects on top. At cer­tain points on Real­ism (and through much of his band’s music), Merrit’s voice works per­fect­ly - a calm and deep into­na­tion well-suit­ed to the more sub­dued tracks, such as Real­ism’s clos­ing track, “From A Sink­ing Boat.” How­ev­er, in many places, an overuse of effects (espe­cial­ly on sec­ondary vocal­ist Clau­dia Gonson’s sec­tions) push­es Real­ism’s vocal seg­ments towards being irri­tat­ing rather than ben­e­fi­cial to the music. In the case of Gonson’s vocals, it also doesn’t help that she can’t seem to avoid sound­ing irri­tat­ing with­out any effects what­so­ev­er, though Mer­rit is for­tu­nate­ly the main vocal­ist most of the time. When Merrit’s vocals work, every­thing seems to come togeth­er. We just wish that hap­pened much more often. As with much of The Mag­net­ic Fields’ work, Real­ism is a com­bi­na­tion of more seri­ous tracks (such as “From A Sink­ing Boat”) and tracks which use humor or humor­ous set­tings to vary­ing effect. There’s “Inter­lude,” which does lit­tle but to serve as a some­what con­fus­ing­ly mis­guid­ed inter­lude (unsur­pris­ing­ly) between “You Must Be Out of Your Mind,” which includes the amus­ing line “And I no longer drink enough / To think you’re wit­ty,” and “We Are Hav­ing A Hoo­te­nan­ny,” which, giv­en its awful lyrics (see its title), is most dis­tin­guished by its use of the word “hoo­te­nan­ny” and the deci­sion to extend the vague­ly sibi­lant sounds at the end of words such as “quiz” into a buzzing noise. After that there’s “I Don’t Know What To Say,” which dis­plays Merrit’s skill at writ­ing - and then “The Dolls’ Tea Par­ty,” which doesn’t. After the beau­ti­ful­ly sar­cas­tic “Every­thing Is One Big Christ­mas Tree” (which at one point breaks into Ger­man), the album fluc­tu­ates between inter­est­ing and marked­ly mediocre - the dif­fer­ence between “Seduced and Abused” and “Paint­ed Flower.” At 35 min­utes, Real­ism is short enough that sug­gest­ing that some of the worst tracks be thrown out is unhelp­ful, but it’s quite dis­ap­point­ing to have real­ly good tracks sand­wiched between medi­oc­rity. For an album that takes a step back from exper­i­men­ta­tion in favor of some extra folk, Real­ism is sur­pris­ing­ly diverse. It seems that even though the band’s exper­i­men­tal ten­den­cies have been focused upon folk, they can’t help but still play around with all sorts of instru­men­ta­tion, among oth­er ele­ments. In fact, one of the only things more impres­sive than the vari­a­tion in instru­men­ta­tion is the use of an extreme­ly large tonal range, eas­i­ly likened to that of a full organ (some of which ven­ture as low as 4Hz, and span over 8 octaves). And this extreme use of range is found not only with instru­ments, but also, often, with the vocals. But even while on much of the album The Mag­net­ic Fields make a point of remain­ing, to some extent, exper­i­men­tal, there is a core set of tracks that remains most­ly the same. These tracks, while often attempt­ing to broad­en their sound base, gen­er­al­ly just revert right back to using a rather sim­ple gui­tar line, plus assort­ed accom­pa­ni­ment. Placed among the oth­er, much more inter­est­ing tracks, these are sim­ply bor­ing. Real­ism as a whole main­tains diver­si­ty not only in sound, instru­men­ta­tion, range, tem­po, and so on, but also in over­all qual­i­ty. There are cer­tain­ly a good num­ber of very sol­id tracks, then there are the fair­ly decent, but some­what mediocre tracks, and Real­ism enter­tains the tru­ly awful tracks, such as “We Are Hav­ing a Hoo­te­nan­ny,” with its some­what painful lyrics and the irri­tat­ing buzzing with which the vocal­ists fill oth­er­wise emp­ty mea­sures. As a whole, Real­ism is right about mediocre.